Long like a tunnel, sloped like a hill or small and beautiful? Whatever the size of your garden this outdoor space can be turned into an extension of your living space with a few easy tips to follow. This is the perfect time of the year to plan and implement a few easy garden design tricks to ensure that special area is going to work for you and your family. With space at a premium we need our outdoor spaces to fulfil a whole range of functions. Year round outside entertaining space, kitchen garden, kid’s play area, compost area, bin space (hidden preferably! ), a beautiful wildlife friendly relaxing place. The list can be endless! It is particularly important when you have a more challenging garden – the endless, slim and long garden can often feel like a tunnel and I dare say one never visits all that way down....., that slope that feels like you are almost buried alive can be made into a wonderful feature and that tiny itsy bitsy postage stamp garden can still offer a feeling of space and grandeur. However like all garden projects, you need to start with some basic planning. See below before we move on to site specific help. Can you really have everything you want? Well....yes you can if you plan ahead and consider what is an absolute must have and what are nice to have but not essentials. The trick here is to plan ahead. First things first then..... I suggest making a list of everything that goes through your head then you can put each requirement into the essentials list or the nice to have list. Let’s start with the essentials - What will the garden be used for? Here are some thoughts for you – things I ask my clients when I first take all the info I need to design a garden. Kid’s area? Ball games in general? Older person living with you? Clear access for handicap/wheelchair users? Do you need a shed for tools, winterising garden furniture, general clutter? Style of the layout – contemporary or traditional? The above are some of the essential features I need to ask about when designing a garden for new clients. This can give me an idea if I will have enough area for some clever planting that will add interest year round and can offer low maintenance. I am always asked about low maintenance!!! 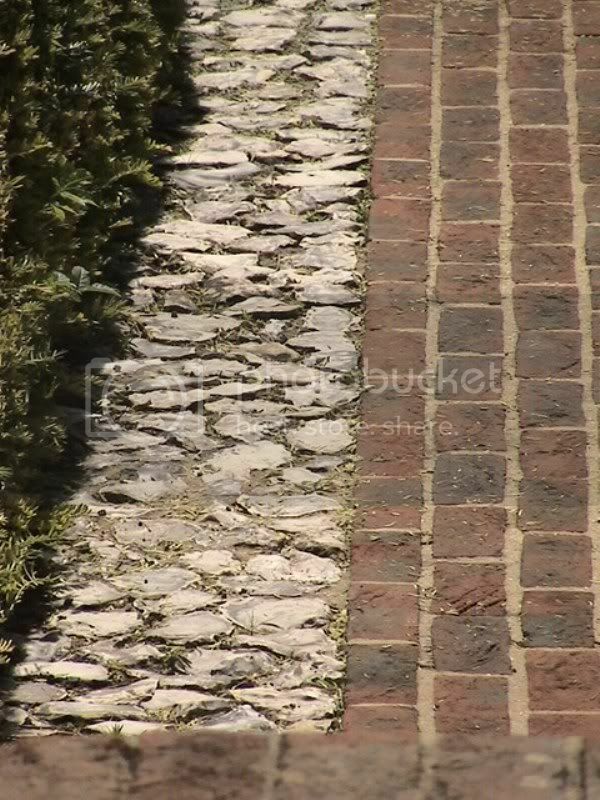 Do I need a path to connect all the functional areas of the garden, such as from the patio to the herbaceous borders to the shed because say the soil is clay and can get really soggy in the winter. A path can link a whole garden together but also make it easier to navigate with wheel barrows or indeed wheelchairs from one end to the other. It also draws the eye to wander, inviting you to leave the house and go for a walk and get some fresh air! Here are some non essentials you might like to think of. Of course you can move any of these into the essentials column; it’s a matter of one’s own priorities. Hard standing for that table and BBQ? 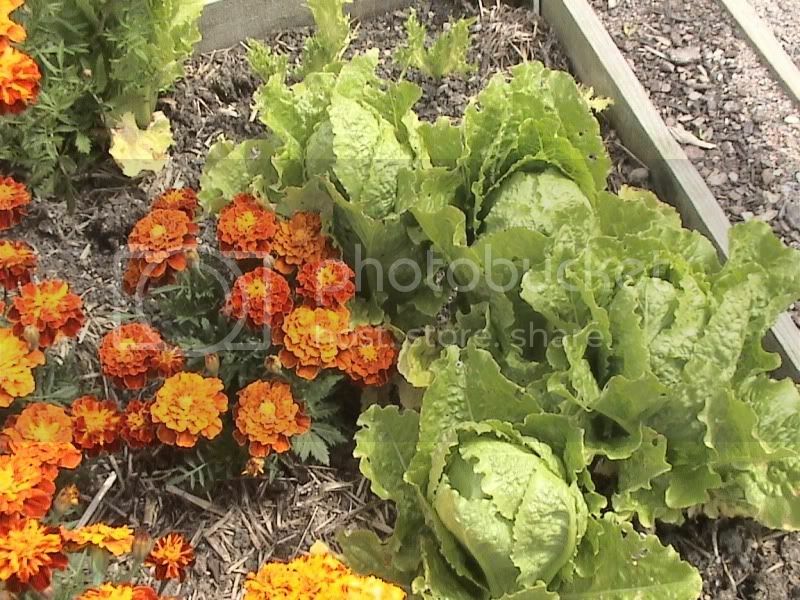 Grow your own vegetable and fruit patch or integrated into the whole scheme? 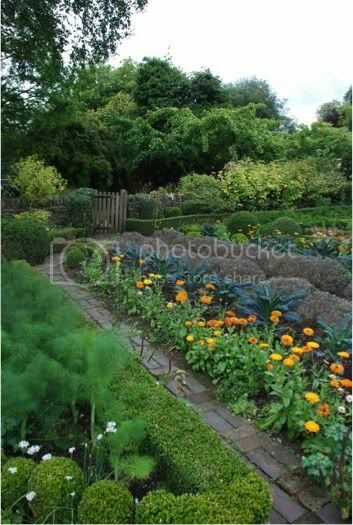 These days you do not have to have a secluded kitchen garden area but you can integrate your vegetable and fruit into normal herbaceous beds and shrub areas. It takes a tad more planning and some horticultural knowledge but can be very cost effective and very beautiful to as well as saving space. I often get calls from people saying they have been buying £100s or even “1000s of pounds worth of plants at hat don’t thrive, don’t grow or plain die. Just because you like a plant, it might not suit your garden and it might not thrive because the conditions are wrong. A waste of time and money. 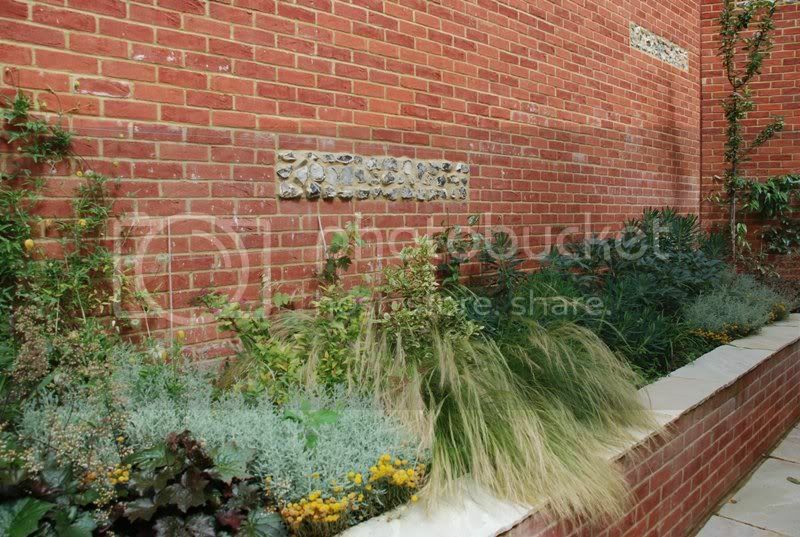 More often than not gardens in built up areas need to be flexible and multi-functional as well as being sustainable. A flexible space will add value to your property. Make the space work really hard for you. One feature might also fulfil another requirement. For example I have designed and built this a few times - a deck that conceals a sand pit for children. A cover that slides close and open is great and when the kids have gone to bed and you have friends over, you can relax and sit out over a few drinks on the said deck. If you do a lot of entertaining try making your furniture as flexible as possible with extending tables and chairs that fold and stack away. Consider weatherproof furniture so you don’t need to store it in a shed throughout winter. Making the most of the limited space you may have is what it is all about. Keep kids play areas away from entertaining areas if possible. Just like a house, have separate “rooms” but ensure you can still keep an eye on them. After all, you don’t really want footballs flying around whilst trying to enjoy a nice glass of wine with friends! So let’s look at the “more challenging gardens” and how you can maximise them. 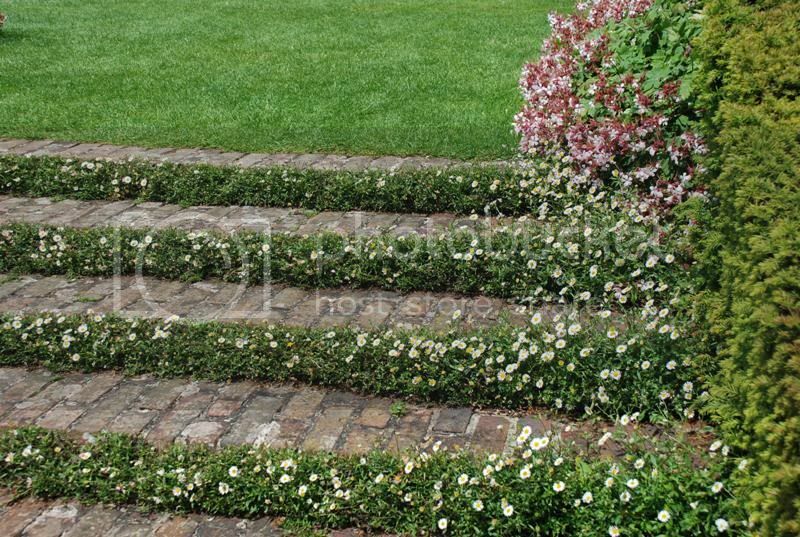 Long and narrows gardens – create interest and avoid the tunnel look! 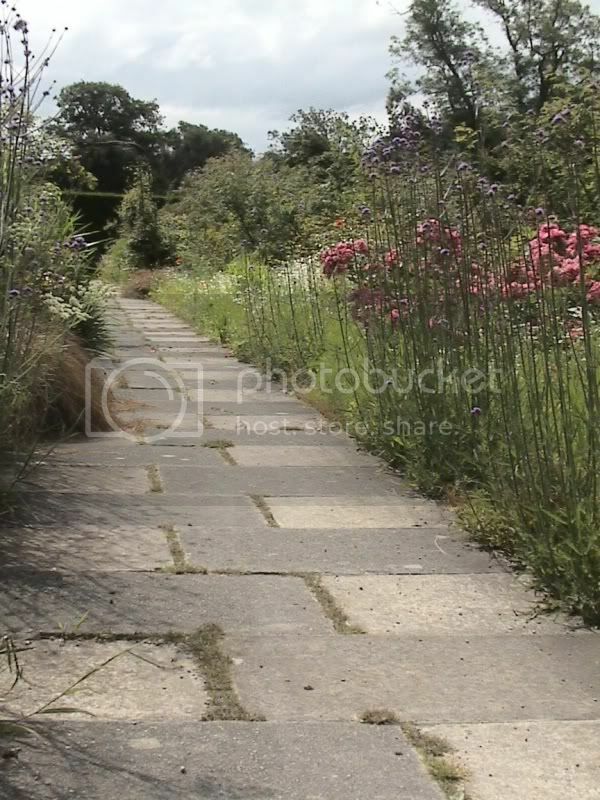 A meandering path is always a good way of making the eye wander around the garden rather than just along its length. 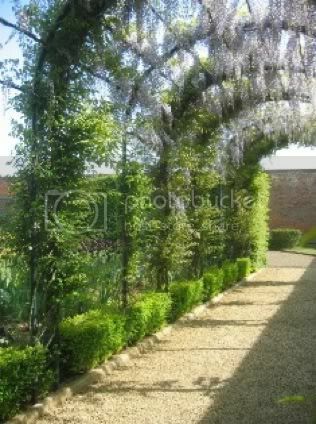 Features like an arbour or an arch act as vertical counterpoints and will create interest, as will low walls. Structures such as these combined with a mix of low, mid-level and higher planting will give the garden a sense of mystery and encourage visitors to go and investigate. 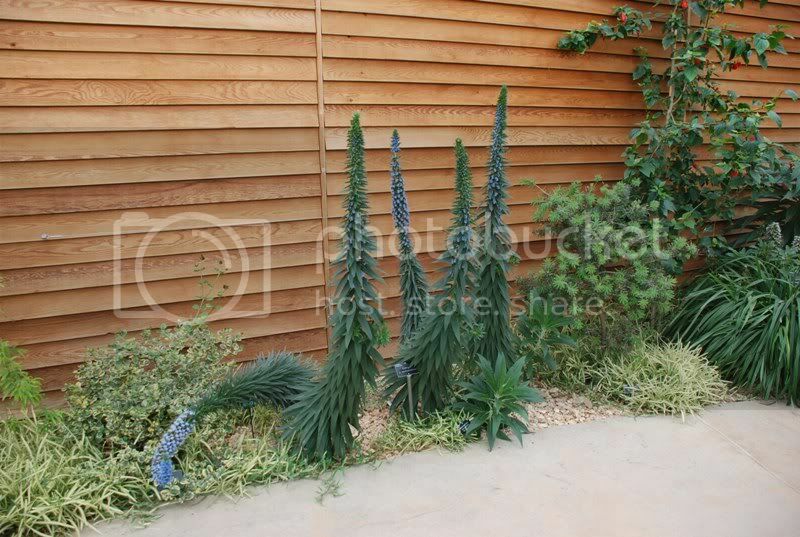 If you have a fence, try to plant interesting foliage against it. These are a myriad of textures and colour and heights. It is important to break up the large plain background. The key here is to ensure it is usable and depending on the steepness of the slope you may have to terrace it, cutting and filling as you go along. If it is more than say a 12 degrees slope you will need a professional to look at this as it implies structural calculations of load. Also any terraces above 1m in height will need to be built properly. Break up high walls with inserted features like these flint panels. This garden had a 45degree slope (extreme) so you need to ensure it is broken up. If you terrace you must link the different spaces, otherwise it can easily look disjointed. Using the same hard landscaping materials such as paving slabs for both hard standing areas and paths will help to unify the garden. Use a limited plant palette and don’t plant too many varieties or colours. 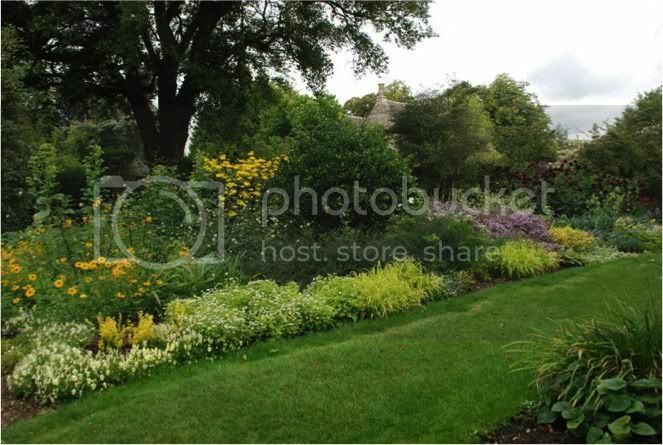 Use a mix of texture, soft leaves with spikier ones, and taller plants with low mounds. Ensure that some plants tumble down the walls – it softens the look. This will ensure you are not too drawn to the harshness of the brick walls or indeed the sleeper-made walls. Why not plant in between the steps to add texture?